Every single time we see a new image for Gold Coast teen Cody Simpson, we’re reminded of just how quickly he’s growing up. Indeed, compare the picture on the cover of his latest release (left) with that for his debut single ‘iYiYi’ just two years ago (HERE) and the change is obvious. Now, after a duo of relatively successful EPs which have given the music world a taster of what he’s about, Cody has issued his latest EP – ‘Preview To Paradise’. And it’s precisely what it promises on the box – a preview of Cody’s upcoming debut album ‘Paradise’, which is due later in the year. 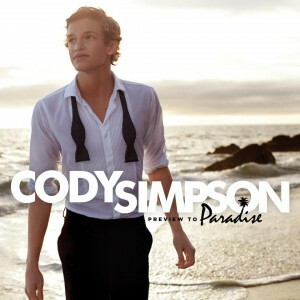 ‘Preview To Paradise’ contains four tracks; the previously released ‘So Listen’ (featuring T-Pain) along with three other tracks. It’s now at digital retail in Australia.